Approximatley four years ago, I started developing very intense symptoms which included dizziness, inflammation of the sinuses and brain, numbness and tingling in the lower legs and feet, headaches, red/ichy eyes, lethargy, and brain fog(disorientation, concentration, depression, memory, derealization etc), which was, by far, the worst of the symptoms. I went to a number of doctors and specialists over a three year period, but couldn't get diagnosed. During this time, my symptoms worsened and made taking care of myself and a mother with alzheimers a struggle which I've never experienced. Words really can't describe the feelings of hopelessness and despair. I had insurance for a brief time, but had to drop my policy due to a substantial price increase.  Many thousands of dollars later, I finally found a Functional Medicine doctor at Sanctuary Functional Medicine who was able to diagnose me with a severe case of mold poisoning and CIRS along with many other health problems caused by the mold. While I'm grateful that I've finally been diagnosed, the treatment process is very expensive and involves 21 different supplements, plus binders and nasal medications, regular testing, and doctors input, among other things. Treatment has been painful and very slow, which is common for this kind of problem. Due to my genetic makeup, the detoxing process is that much more difficult and time consuming. Everyday is a struggle mentally and physically. I've spent my savings and have been unable(not unwilling) to work, which has made it very difficult financially and has put treatment on pause for now. I would like to continue treatment with Dr Potter at Sanctuary Medicine. I don't mean to sound whiney or dramatic, I just really need help getting my health and life back.